I've so been looking forward to my Holiday Gift Guide Series, and what better way to kick it off than with fun, fabulous gifts for your friends?? 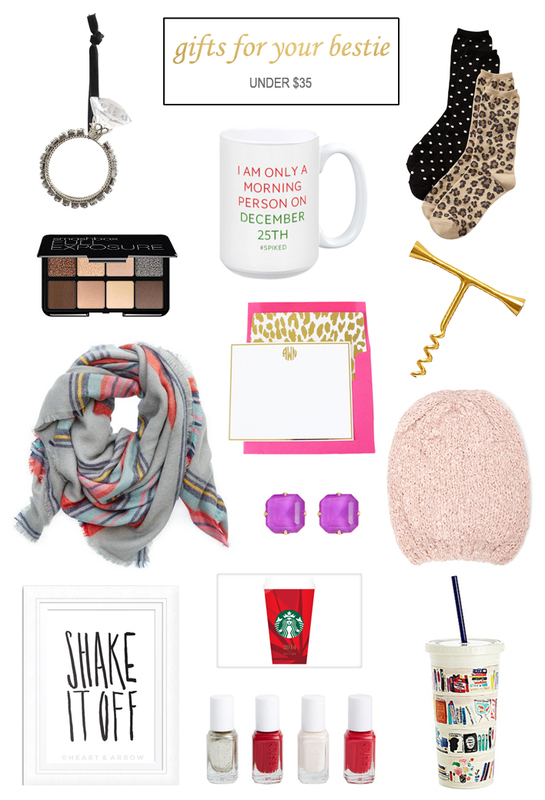 I'm someone who absolutely loves picking out gifts for people, and my best friends are so fun to shop for. Over the past couple of years I've started putting together gifts made up of several smaller things so that I'm able to give them a bit more! Plus, I think it's fun to open a few different things anyway.